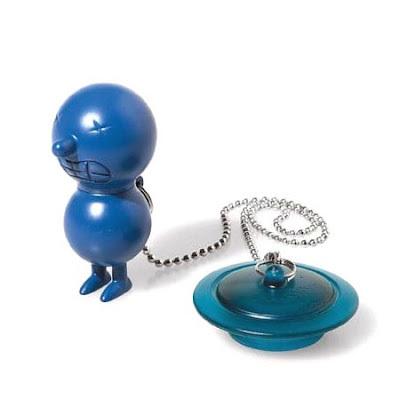 designed by massimo giacon for alessi, 2000. great bathtub accessory. mr. suicide floats to the surface when you take a bath. available in pink, yellow, and blue. plug fits approx. 1.5" and is 2.75" diameter. mr. suicide is 3.5" tall.